Home of the Cleveland Indians for over 50 years, many fans probably wish that the team would have stayed at the park instead of moving to Cleveland Municipal Stadium. A new ballpark was built for the National League Cleveland franchise and was ready by opening day, May 1, 1891. 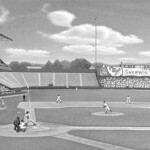 Named League Park the ballpark could seat 9,000 fans. 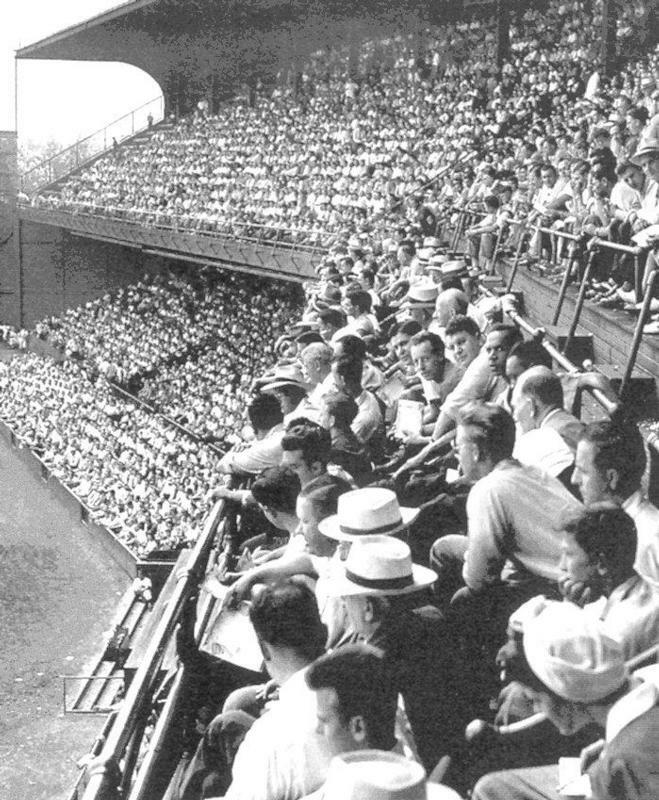 Built mainly of wood, the single deck grandstand was behind homeplate, a covered pavilion was behind first base and bleachers were located at various other places in the park. 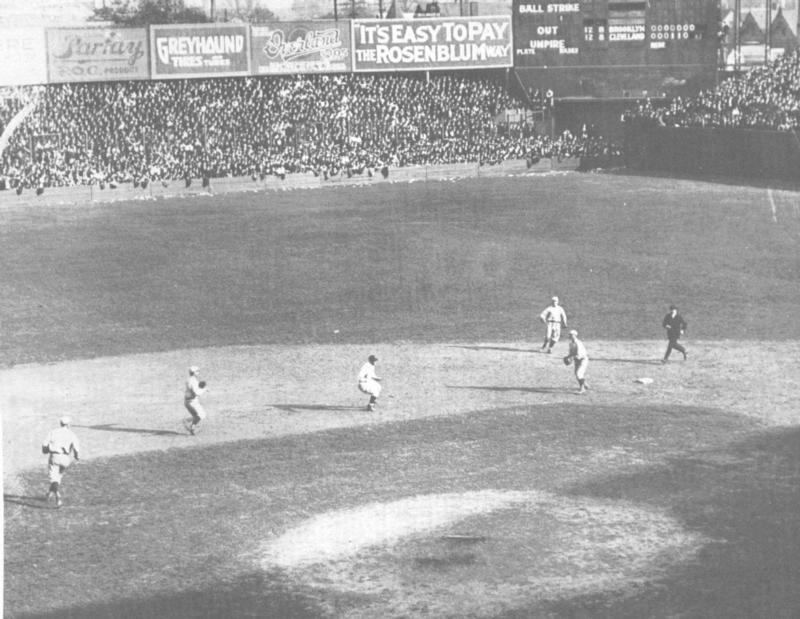 However by the 1910 season, League Park was completely dismantled and rebuilt of steel and concrete, allowing the capacity to increase. A double deck grandstand now extended from the right field foul pole to homeplate and around to about the left field foul pole. The lower deck extended around the left field foul pole and to left field. 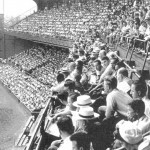 A small section of wooden bleachers were located in left center field. The ballpark could now seat 18,000 fans. Eight stolen bases by Washington Senators in first inning on July 19, 1915. 500th homerun by Babe Ruth on August 11, 1929. Addie Joss pitches perfect game on October 2, 1908. Hall of Famer Tris Speaker from 1916-26. 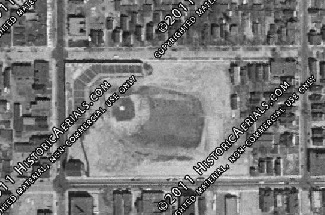 League Park’s playing field was shaped like a rectangle due to the configuration of the streets surrounding the ballpark. This made the right field fence very short at 290 ft. and creating a 40 feet high wall. In 1920, League Park was renamed Dunn Field in honor of the owner of the team, James Dunn. The same year a section of bleachers were constructed in centerfield after the Indians won the pennant. 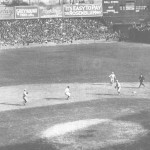 The ballpark was renamed League Park in 1927. By the late 1920s a new stadium was being built along the lakefront in Cleveland. The Indians decided to move to this new stadium, Cleveland Municipal Stadium on July 31, 1932. 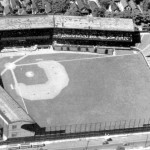 The team continued to play full time at Cleveland Municipal Stadium until the end of the 1933 season. 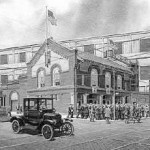 However beginning in 1934, the Indians began playing at League Park on weekdays and on holidays until 1947. The team finally moved out of League Park because the ballpark never had lights. 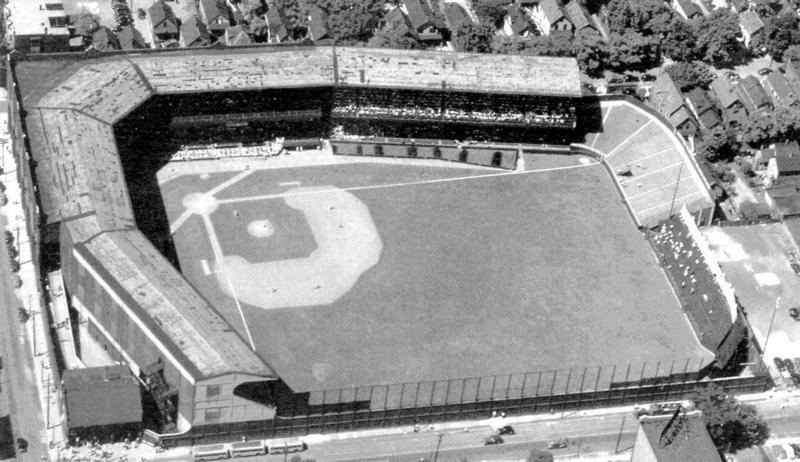 League Park stood until 1951 when most of it was demolished. For decades the only thing that remained was the ticket house constructed in 1909 and part of the grandstand wall along East 66th Street. In 2014 the City of Cleveland invested $6.3 million on the League Park site, restoring the ticket house to the Baseball Heritage Museum and the original League Park playing field was restored with an artificial baseball field for recreation and baseball games. – Location: At the intersection of East 66th Street and Lexington Avenue.